While banks are gearing up for the Q2 earnings season, the Federal Reserve has given clean bills of health to majority of the large American banks. Strong jobs numbers, in fact, raised the possibility of further rate hikes which bodes well for banks. The financial sector at large posted its biggest one-day advance in over three months, with banks leading the way. Let us, thus, focus on banks that are likely to make the most of the Q2 earnings season. Such banks are positioned to report upbeat earnings results, which will eventually lead to an uptick in share price. So far this year, bank stocks have been underperforming the broader S&P 500. But bullish investors are optimistic that banks’ discouraging performance will soon come to an end. 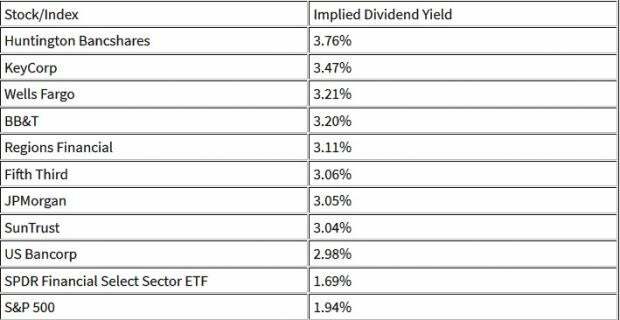 Banks are planning to bump up dividends after passing the Fed’s latest round of stress tests with flying colors. This, invariably, will provide a boost to share prices of a select number of U.S. banks. The increasing number of dividends is a reflection of tax cut benefits and stronger capital ratios. In fact, greater capital ratios give banks more room to boost shareholder returns. 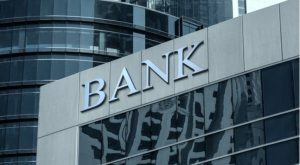 Nine banks, namely Huntington Bancshares, KeyCorp, Wells Fargo (NYSE:WFC), BB&T, Regions Financial, Fifth Third Bancorp, JPMorgan Chase (NYSE:JPM), SunTrust Banks and US Bancorp, have already planned to increase dividends. Banks’ poor show this year, by the way, may indicate that they are comparatively undervalued compared to the broader equity market. While the KBW Nasdaq Bank Index has shed 0.1% on a year-to-date basis, the S&P is up 4%. Bespoke Investment Group macro strategist George Pearkes has in fact found out by using a mathematical model that bank stock prices by utilizing two-year Treasury yields and investment-grade bond spreads as model inputs, are recently priced at 9% below their fair values. Thus, banks have the potential to climb higher. And why not? Solid June employment data has given the Fed a green signal to continue hiking rates. The United States has been able to create 213,000 jobs in June; a healthy sign showing that corporates are finding ways to fill positions despite the lack of skilled workers. Such hiring figures easily topped analysts’ estimates of 200,000 job additions. A move toward higher rates is always favorable for banks. Higher interest rates can boost bank profits as they increase the spread between what banks earn by funding longer-term assets, such as loans, with shorter-term liabilities. Fed, in the meantime, has raised its benchmark federal funds rate by a quarter percentage point to a range of 1.75% to 2% last month. The Fed’s dot plot, in fact, indicated that policy makers predict two additional rate hikes this year for a total of four increases instead of three as planned earlier. By the end of this year, the median forecast for the federal funds rate stands at 2.4%, compared with the March forecast of 2.1%. Beyond this year, the policy-setting Federal Open Market Committee predicts that it will hike rates three times next year and one more time the following year to propel its benchmark rate up to 3.4%. The aforesaid factors will surely help banks stay afloat this Q2. For the Finance sector, of which the Major Banks industry is the biggest earnings contributor, total Q2 earnings are expected to grow 18.4% from the same period last year on 3.8% higher revenues. This would follow 25.1% earnings growth in the preceding quarter on 4.8% higher revenues. This calls for investing in four banks, which are expected to report a significant uptick in Q2 earnings. These stocks have a positive Earnings ESP — our proprietary methodology for determining stocks that have the best chance to surprise with their next earnings announcement. It provides the percentage difference between the Most Accurate estimate and the Zacks Consensus Estimate. These stocks also flaunt a Zacks Rank #2 (Buy). M&T Bank (NYSE:MTB) operates as the holding company for Manufacturers and Traders Trust Company; and Wilmington Trust, National Association that provide retail and commercial banking services. The stock, which part of the Banks – Major Regional industry, is expected to return 34.1% this year. The company is expected to report earnings results for the quarter ending June 2018 on Jul 18. M&T Bank has an Earnings ESP of +0.58%. Customers Bancorp (NYSE:CUBI) operates as the bank holding company for Customers Bank that provides financial products and services to small and middle market businesses, not-for-profits, and consumers. The stock, which part of the Banks – Southeast industry, is expected to return 26.4% in 2018. The company is likely to report earnings results for the quarter ending June 2018 on Jul 25. Customers Bancorp has an Earnings ESP of +3.50%. Metropolitan Bank (NYSE:MCB) operates as the bank holding company for Metropolitan Commercial Bank that provides a range of business, commercial, and retail banking products and services. The stock, which part of the Banks – Northeast industry, is expected to return 9.2% this year. The company is expected to report earnings results for the quarter ending June 2018 on Jul 25. Metropolitan Bank has an Earnings ESP of +5.88%. Triumph Bancorp (NASDAQ:TBK) operates as a financial holding company for TBK Bank, SSB that provides banking and commercial finance products and services to retail customers and small-to-mid-sized businesses in the United States. The stock, which part of the Banks – Southeast industry, is expected to return 22.3% in 2018. The company is expected to report earnings results for the quarter ending June 2018 on Jul 18. Triumph Bancorp has an Earnings ESP of +0.32%. Article printed from InvestorPlace Media, https://investorplace.com/2018/07/4-top-bank-stocks-buy-ahead-q2-earnings-ggsyn/.